A stronger economy will offset the effects of higher mortgage rates and keep Canadian house prices stable over the next two years, according to the Royal Bank of Canada. In a market update that has the bank forecasting price gains of 0.5 per cent in 2011 and 1.3 per cent in 2012, economist Robert Hogue said that after two years of “gyrating wildly,” the Canadian housing market is likely to be a much less interesting place for the next several years. The Bank of Canada will likely raise interest rates by 100 basis points this year and another 150 basis points in 2012, he said, making mortgage payments more expensive for the majority of homeowners. But real gross domestic product is expected to increase to 3.2 per cent in 2011 from 2.9 per cent in 2010. “The net effect of these forces is expected to be close to nil, thereby leaving resale activity largely flat,” he said. There have been a flurry of forecasts issued in the last week, as the market starts the year stronger than expected. 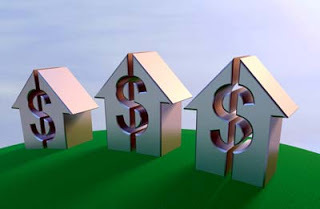 Capital Economics issued a cautious report that suggested higher interest rates could drive prices down as much as 25 per cent over the next three years, while the Canadian Real Estate Association raised its sales forecast for the next two years as it suggested that a stronger economic recovery and continued low interest rates would keep the market balanced.